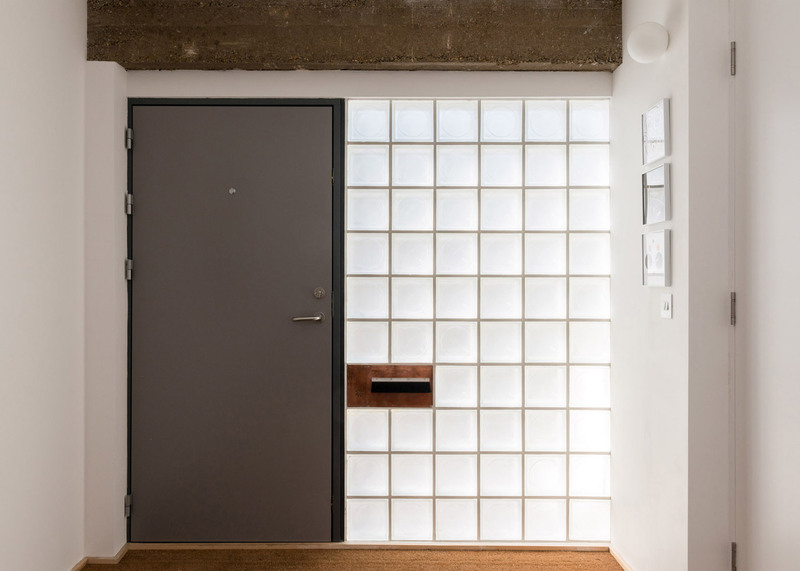 London studio Archmongers has remodelled and extended a 1960s terrace house in the city, refreshing the facade with glazed tiles similar to those found on London's tube stations (+ slideshow). 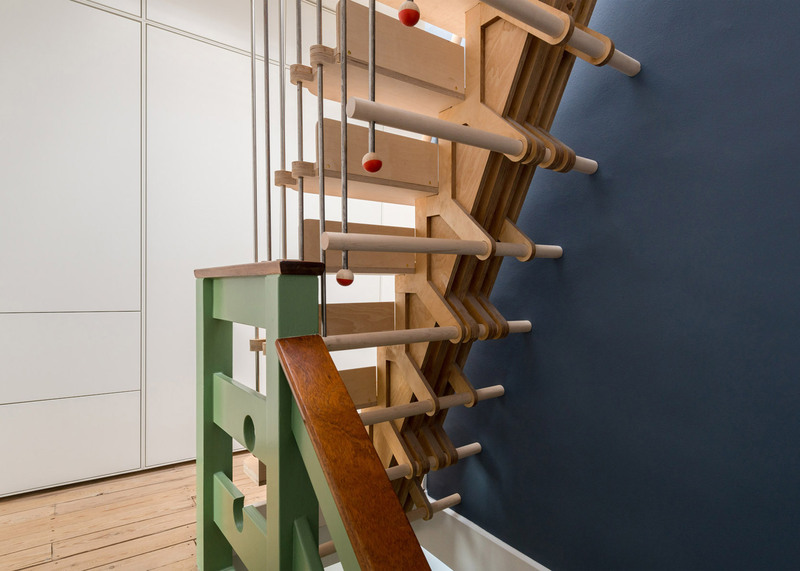 Clock House in north London was designed by Margaret Bursa – a director at Archmongers – to provide a new home for herself, her husband, and their young child. 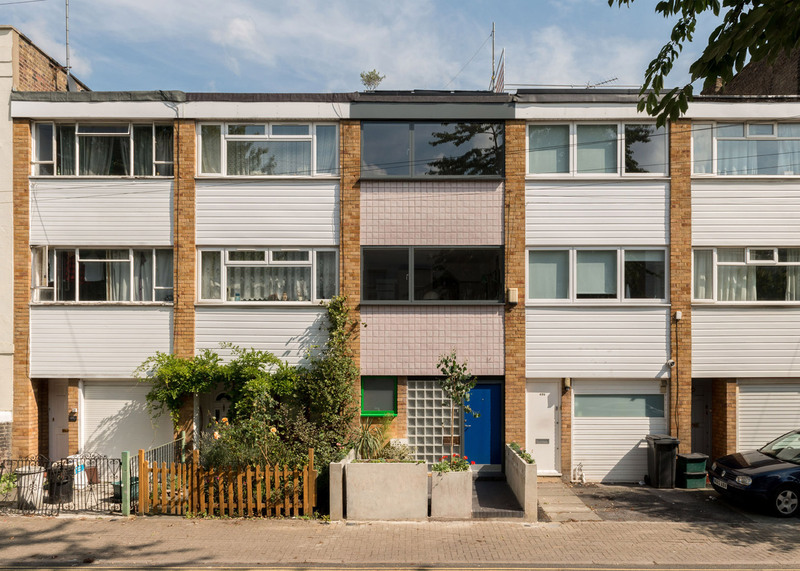 The ground floor was previously taken up by a garage and "a peculiar, dank room that led to the garden, described in the sales literature as a bedroom," according to Bursa. This space has now been remodelled and extended at the back to create an open-plan kitchen, dining room and living room. 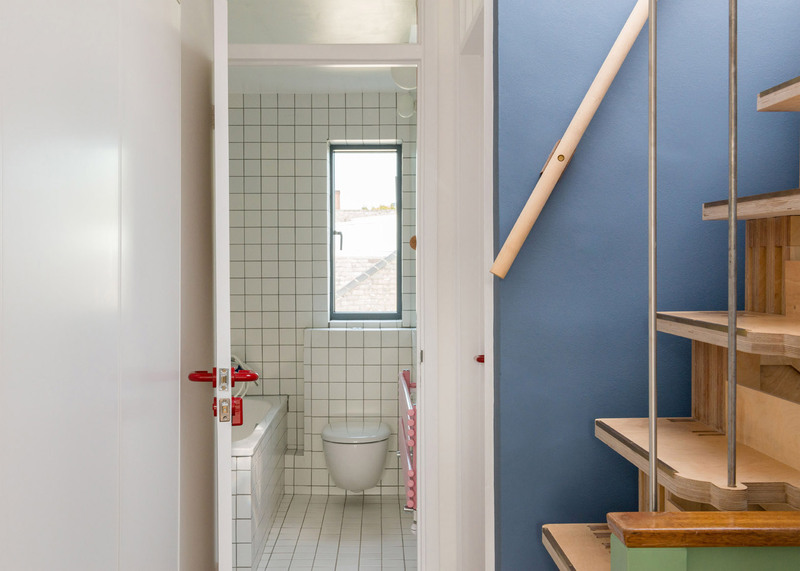 "We relocated with a view to renovating and extending this house, and waited a year before commencing work to make sure we understood exactly what to do," Bursa told Dezeen. 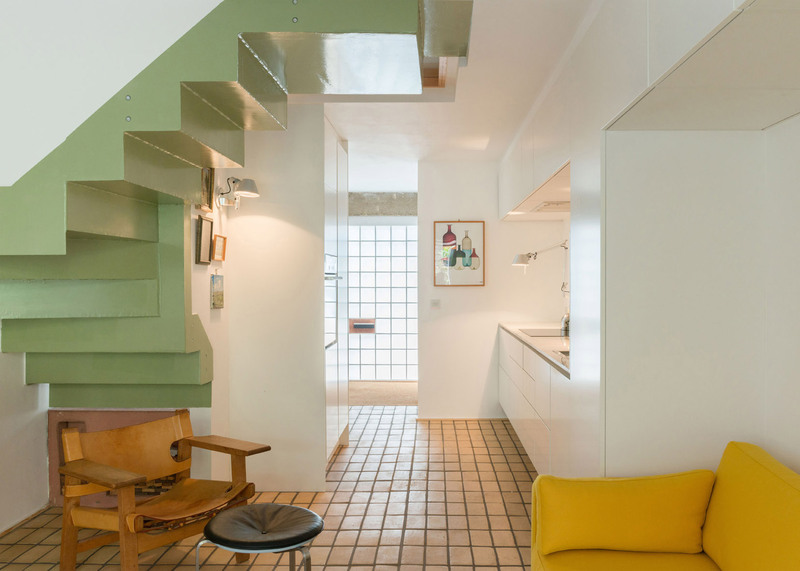 "As a practice, we see great potential in houses from the 1960s and 70s," she added. "They have attributes that are very suitable for contemporary living, such as size and layout, and window-to-space ratio, and often there are few original details that are worth retaining, so they can provide a blank canvas." 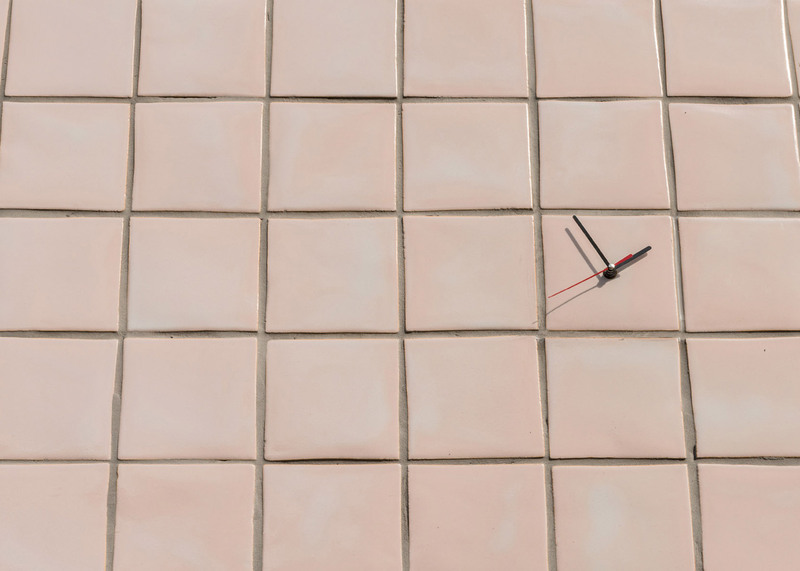 The front of Clock House was updated with translucent glass blocks that bring in light but maintain privacy, and handmade clay tiles in a colour the pottery called "brain". These were partly chosen for their uneven surface, which catches light in varied ways throughout the day and night. "I really enjoy the way they reflect the lights of the city after dark," said Bursa. "They offer a lively, hardwearing surface and reflect the designs of London's pubs and traditional underground train stations." The three-storey house derives its name from a clock fitted to one of the front tiles, intended as a subtle reminder of the passing of time. "We wanted the facade to interact with the neighbourhood, rather than hide anonymously in a row of terraces," said Bursa. "The clock provides a point of reference for passing neighbours and also conveys steady motion to an unhurried residential street." The 10-square-metre extension at the back of the house was clad in black-stained timber. It has a sedum roof to provide insulation, and to offer a more pleasant view from the rooms above. 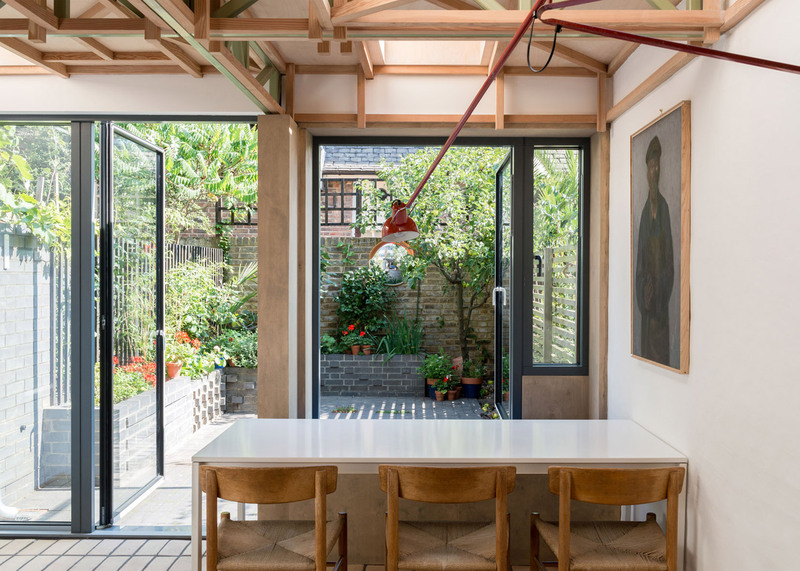 Inside, the extension's ceiling is covered in a grid-like timber and steel structure to help distinguish it as a separate space within the open-plan layout. "We wanted to contrast the ceiling in this space with the white ceilings in the rest of the house, and give it its own definition," said Bursa. The first floor, where the kitchen and living room used to be, now has two bedrooms, and the second floor has another two bedrooms and a bathroom. A roof terrace was also added at the top of the house. 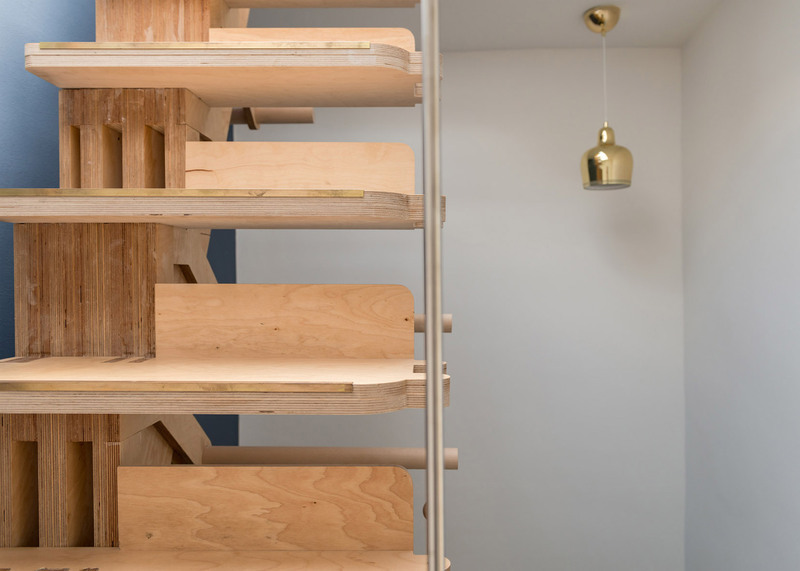 It is accessed by a staircase made from more than 100 pieces of CNC-cut birch ply, birch dowel and steel rods, which fit together like a puzzle, and were assembled on-site in one day. A range of materials has been used throughout the interior to offer variety. These include brick tiles for the flooring in the living area, ceramic tiles in the bathroom, and the glass blocks at the entrance. Marble was chosen for the ground-floor wet room, as well as the splashback and worktop in the kitchen, to introduce a sense of luxury. "The materials in Clock House are wide-ranging but manage to work together successfully as a collection," said Bursa. "To stay within budget we concentrated luxury materials in small areas, which also creates surprising spaces," she added. "We achieved this through sourcing materials carefully, such as reclaimed marble for the kitchen worktops." 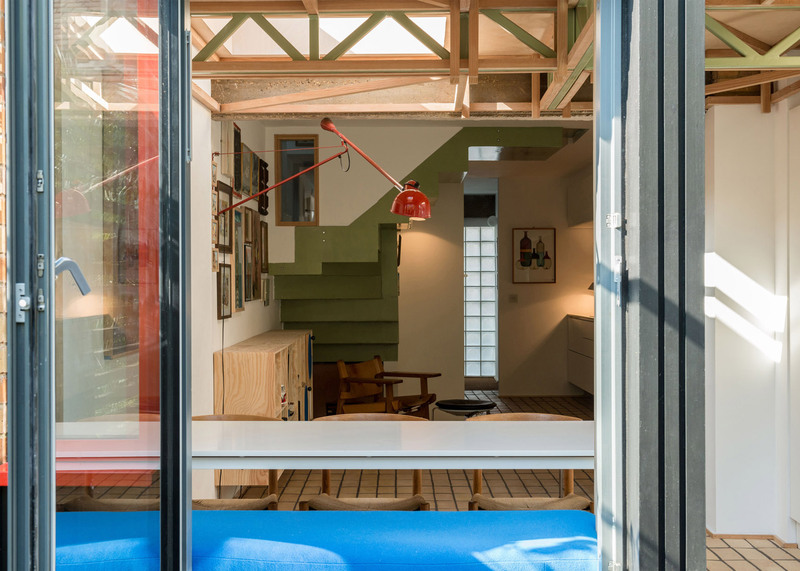 Bursa also added door handles and window frames in various bright colours to create focal points throughout the 3.5-metre-wide house. 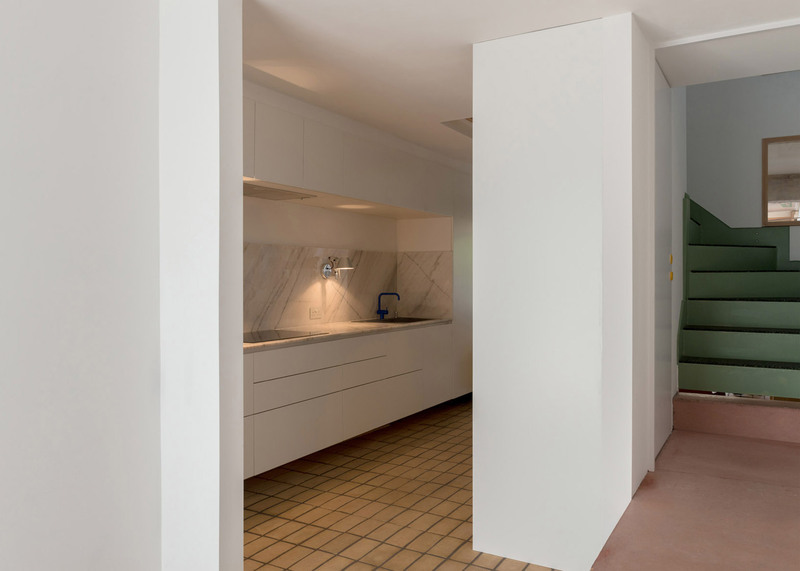 "The ground floor and hallway spaces are disconnected from the building's urban context, so our use of colour creates focal points and depth within the house," said Bursa. "This provides an internal landscape as a substitute to any reference to outside." Other examples of updated British homes from this era include an extended terrace on a London housing estate, which took nine years to gain planning permission, and a brick house in Buckinghamshire that was painted black and upgraded with larger windows. Work on Clock House was completed in a year – six months for the main build, and six months to finish the details – and cost £120,000. 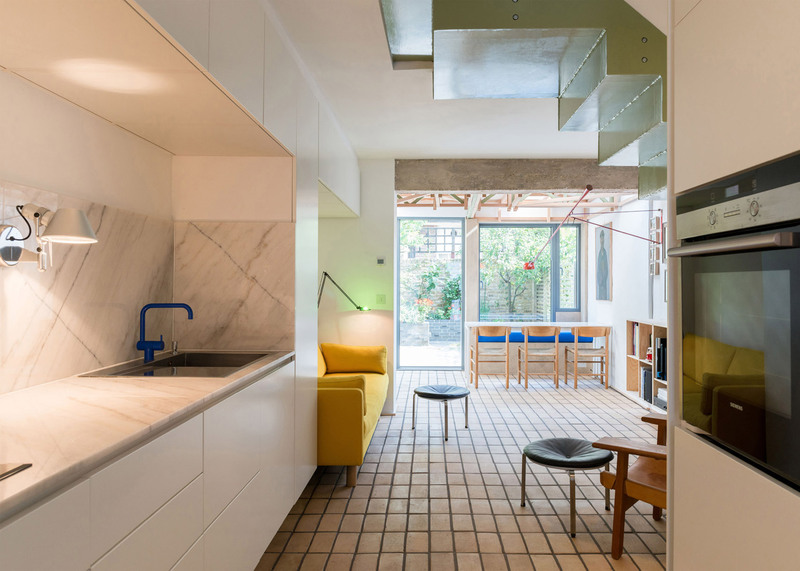 The project has since been shortlisted for Don't Move, Improve 2016 – a competition to find London's best house extension.